Work diaries chronicling the daily activities of Hitler’s henchman Heinrich Himmler have surfaced in Russian military archives. The recovered texts speak volumes about a key figure behind the Holocaust—a man who could orchestrate mass killings at one moment and then casually switch to mundane family matters the next. Three books consisting of a thousand pages of Heinrich Himmler’s wartime diaries were uncovered by Russian historians in the small town of Podolsk. The texts, which read more like a daily agenda than a personal diary, were written by Himmler’s assistants. They had languished on a shelf for 70 years after being seized by the Red Army at the end of the Second World War. The diaries correspond to the years 1938, 1943, and 1944, which complements previously discovered diaries. The texts, which the German Historical Institute of Moscow describes as “a document of unusual historical significance,” will be make available to the public next year. Damian Imoehl, a reporter for the German magazine Bild, managed to get a copy of the diaries, and they offer deep—and often disturbing—insights into the daily life of the second most powerful man in the Third Reich. 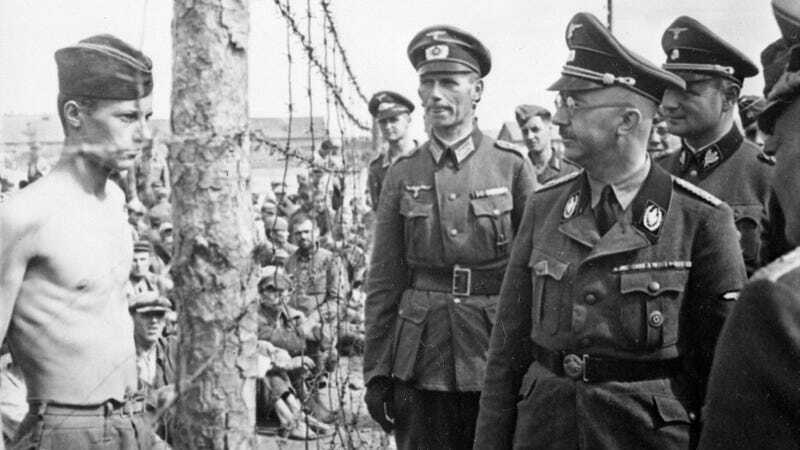 During the Second World War, Himmler formed the dreaded Einsatzgruppen and oversaw the construction of extermination camps. His role in the Holocaust cannot be understated, having directed the killing of some six million Jews and other ethnic groups during the war. But as his diary makes clear, he went about his daily business in a ruthless yet cavalier manner.